Inclusive of an Arts/Activities resource section, this richly illustrated book demonstrates that together we can all be inspired to identify and pursue our dreams, no matter how big or impossible they may seem. This title will be released on January 10, 2017! It’s almost 2017 and you know what that means, right? It’s time to start thinking about your New Year’s Resolution, and it may be worthwhile to ask your child what his or her goals for the new year are as well. Kat Kronenberg, a debut author from Austin, Texas (YAY! ), believes that when we listen to our children’s dreams and encourage them to chase after them—no matter how wild they may be—children build self-confidence, are happier and healthier, and families become closer as a result. “My hope for the new year is that families, classrooms, and neighborhoods can work together toward helping one another achieve our dreams,” Kronenberg says. 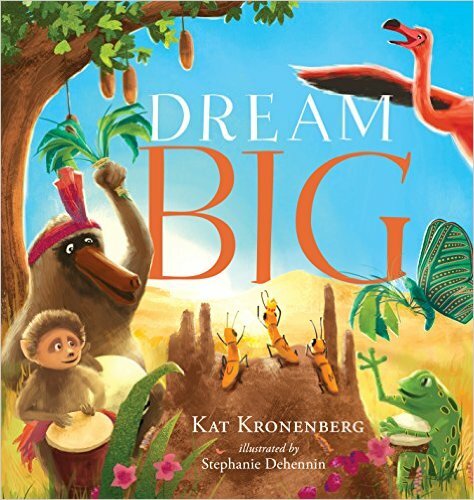 In Kat’s new children’s book Dream Big [Greenleaf Publishing, January 2017] Kronenberg introduces the idea of believing in your dreams by introducing a caterpillar who wants to fly, a tadpole who wants to dance, and a flamingo who wants to be brightly-colored. A moody baboon is skeptical of all their dreams, but after he witnesses their dreams come true, he too understands the power of believing in possibilities! One by one, Caterpillar, Tadpole, and Flamingo gaze up at the night sky and wish upon a star for their wildest dreams. Baboon, who can’t help but overhear, insists these dreams could never come true. But when he sees Caterpillar turn into a winged butterfly, Tadpole into a dancing frog, and Flamingo into a beautiful pink bird, Baboon realizes that a transformative power exists between these stars and the animals once they truly believe in themselves and their dreams. When Baboon tries out this secret, CATCH-M, his Magical, Mystical, Wished-Upon Star, whooshes down from the heavens to wham! ignite the courage in his chest too, and what happens next is fantastic! Why is it so important to believe in your dreams? It’s important to believe in our dreams because it allows us to live our best life’s. Our dreams fill us with hope, purpose, direction, and a need for connection to ourselves. And we cannot achieve our dreams alone. How can nature be one of our greatest teachers? If you slow down and just watch the ants in the dirt work, or observe the beauty of the birds flying overhead, you can see that everything in our world has purpose. We too, I believe, were created for our own specific purposes. There has never been and never will be another me, or two boys made as perfectly as my sons, Knox and Jaxon. As I watch them grow up in the same house, it is clear—just like the ants being so different from the birds—that they both have a reason for being, a set of gifts to offer our world. How do our smiles have the power to connect and transform? Our smiles, if they come from deep within and are genuine, radiate such beauty, warmth, and strength that we all feel a little better, stronger, and more alive being around them. They truly have an energy and a power that can fill a room and bring people together in any situation. How can kids trust that the universe has our best interests at heart? Trust, for me, is also a choice. But this choice can be made from observing and from personal experience. When we take the time to truly be present in our lives and to feel and watch ourselves and others go through their days, there is a beautiful rhythm to it all, a purpose, a hope. And if we slow down with our kids and find moments to show them where hardships have come full-circle to bring good into a situation, we begin to believe and see first-hand that everything that happens in our life can be used for good. Dream Big (Greenleaf Book Group, January 2017) will be available from Amazon as of January 10, 2017 and other booksellers nationwide. More information about Kat Kronenberg can be found at www.katkronenberg.com, Facebook, Twitter, Instagram, LinkedIn, and YouTube. 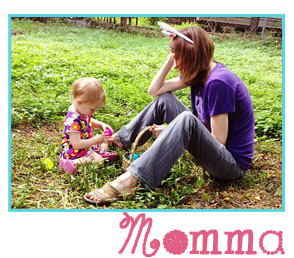 About the Author: Kat Kronenberg is a debut children’s book author living in Austin, Texas. As a member of the Society of Children’s Book Writers and Illustrators, her hope and dream is that through reading we can encourage one another other to “follow our bliss,” stay in the arena fighting for our dreams, and allow joy and fulfillment to be our internal GPS. 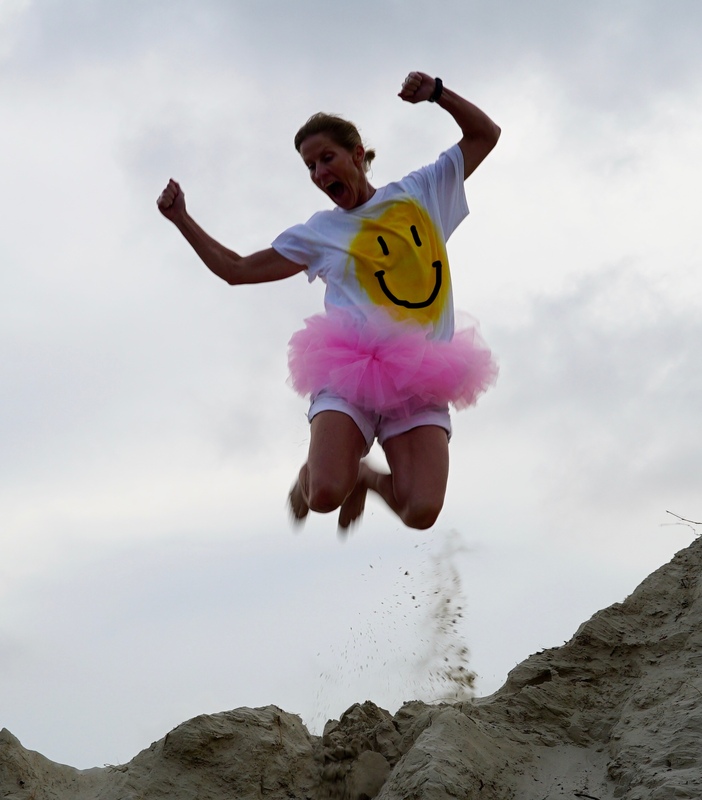 In addition to spreading her message through her children’s book Dream Big, she also provides interactive games that promote positive thinking, Common Core aligned discussion and project guides, and free downloadable activity sheets at www.katkronenberg.com. Dream Big is the perfect heart-warming gift of encouragement for anyone starting a new phase in their life or a great send-off for grads—preschool, high school, college, and beyond!